SIGN UP FOR YOUR FREE ISSUE NOW. 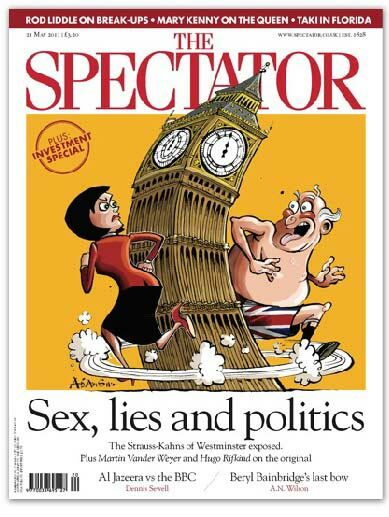 You will perhaps know that The Spectator is regarded as the finest weekly magazine in the English language. We would like to offer you the chance to try us out: for FREE. Something our writers won't do is send you to sleep. Their politics range from left to right, their circumstances from high life to low life. The most perceptive political analysis comes as standard. Where The Spectator comes into its own is assembling the best writers from every field, and giving them the freedom to say what they want. There is no party line: our sole allegiance is to originality of thought and elegance of expression. The result is a quality of argument not to be found in any other publication. The best writers in Britain, the likes of Matthew Parris, Charles Moore and Rod Liddle are regulars in the magazine. Our colourful, expert coverage of literature and the arts is the best in the land. And all of it is spiced with the finest cartoons in Britain. The Spectator has a 183-year history of entertaining, informing, delighting and infuriating its readers. We hope you will consider joining them.